The Volvo XC60 was introduced at the New York International Auto Show in April. NEW YORK — Volvo Car Canada is using some surprises from the rollout of the award-winning XC90 full-size utility vehicle in Canada for the launch of the smaller XC60 later in 2017. The redesigned XC60 compact utility made its North American debut at the New York International Auto Show in April. There, Volvo Car Canada Managing Director Alex Lvovich discussed how his staff and dealers are using lessons learned since the launch of the XC90 — the first model released under the ownership of China-based parent company Geely, which bought Volvo Cars from Ford in 2010 — to introduce the company’s newest offering in Canada’s fastest-growing segment. Volvo will plan to have more high-end units in stock at the XC60’s launch because 75 per-cent of XC90s sold in Canada in the first year were the top-tier Inscription trim. “It was something that we didn’t expect,” Lvovich said. “Our customers are not looking for bare-bones vehicles today. “XC90 was a great conquest vehicle for us. We’ve seen people come into the brand from BMW, from Mercedes, from Land Rover quite a bit, that we’ve never seen before. There’s a very different price sensitivity for those (customers). Another eye-opening statistic from the XC90, particularly over the last few months, is higher-than-expected sales of the T8 plug-in hybrid model. “We actually increased that mix to 25 per cent, which to us is quite incredible,” Lvovich said. Volvo’s entire lineup will be new by the end of 2018. Lvovich says that between the current and upcoming product offerings, the company’s arm in Canada is well-positioned for growth. 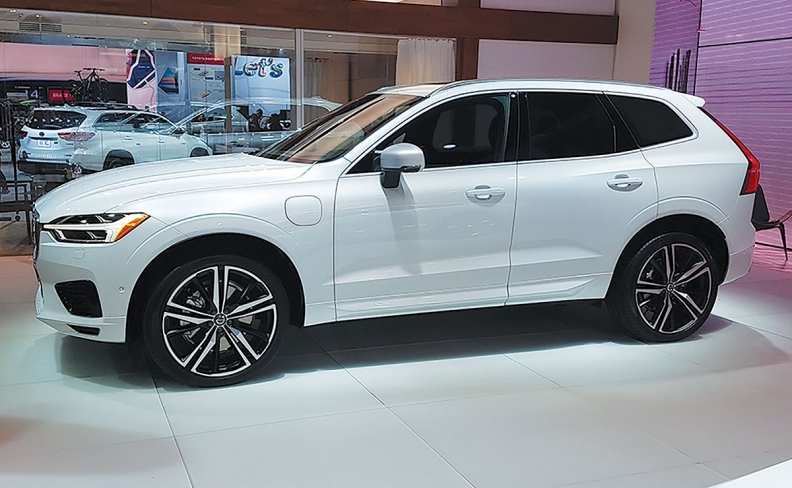 “If you look at the segments in Canada and you look at the average in premium segments, you can see that the (Volvo) number is below luxury average, so we have further opportunity,” Lvovich said.